Lifting Latinx Voices Initiative (LLVI) is the only Latinx led program in Georgia that focuses on addressing comprehensive reproductive and sexual health issues faced by Latinx families. 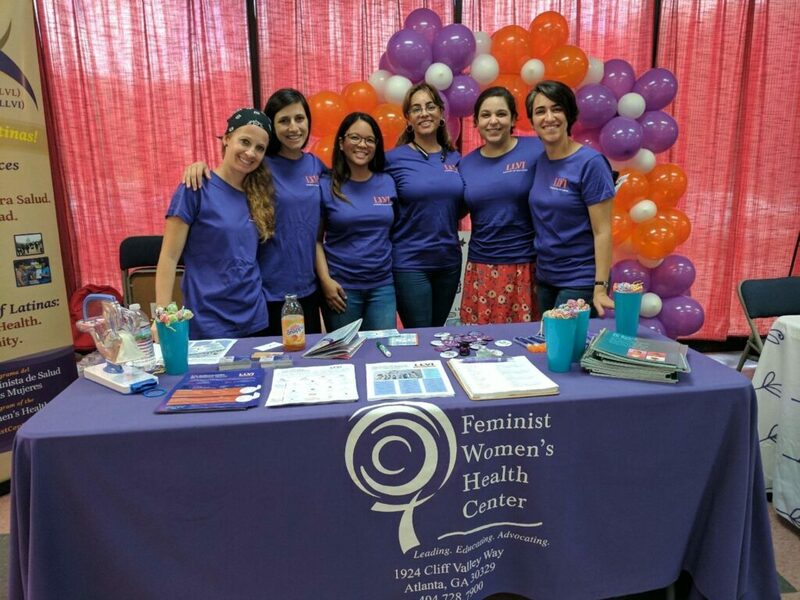 Workshops: We offer workshops and trainings through organizations like CETPA, the Mexican consulate and the Latin American Association on topics like gynecological healthcare, sexually transmitted diseases, reproductive coercion, LGBTQIA+ issues and rights, etc. House parties: We recognize the value of safe spaces when talking about sensitive issues like sexual and reproductive health. This is why we work with community members to organize house parties where we discuss sexual and reproductive health in the comfort and safety of people’s homes. To organize a house party for your family and friends you can call us at 404-248-5457 or email us at julianar@feministcenter.org. Promotoras Training (Community health workers): We provide training opportunities to identify and develop lay health workers within our own communities. Promotoras help improve access to culturally sensitive gynecological health care; provide crucial sexual and reproductive health education; and offer referrals to health services. Volunteer or Intern with us: Over the years, volunteers and interns have not only contributed immensely to our programs success but have also helped shape and design it. We are always on the lookout for passionate people to join our team. Check out our volunteering and internship opportunities here. Join our Committee: Our Latinx Leadership & Advocacy Committee is a platform to engage and create reproductive justice leaders and advocates within the Latinx Community. To join our committee email julianar@feministcenter.org or call 404-248-5457.